For most of the past three years, the lament of diplomats and human rights activists alike has been summed up by one word: glissement. Kabila does not want to hold elections, as he is term limited, so he plays for time by creating artificial delays. The focus of advocacy was on the urgent need for elections––some (the Rassemblement, LUCHA, Human Rights Watch, as well as others) then changed tack toward demanding Kabila’s resignation, a transition sans Kabila, after losing faith that Kabila would ever hold credible elections. Those differences of approach were not initially very apparent––everybody wanted Kabila to leave, just some wanted it to happen before elections. Now, after years of dragging their feet, the ruling coalition has now apparently begun to shift gears. According to three senior western diplomats in Kinshasa, a senior UN official, and an opposition leader I spoke with this past week, the government has now finally decided on holding elections. 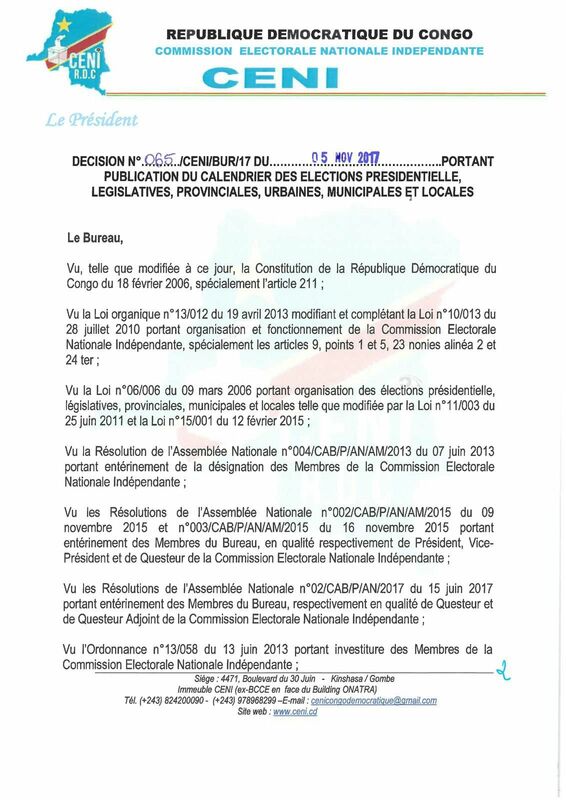 There are numerous indications of this: parliament approved a new electoral law in just two weeks, the CENI wrapped up the voter registration with just minor delays, and the government has allocated $80 million more to elections than CENI asked for in 2018. Government officials have even begun to speak in clearer terms about Kabila’s departure: the head of the election commission, not known for his bravado, said that elections must bring about “alternance,” which requires Kabila’s departure, and the information minister said that Kabila would name his successor by July (although he has begun to talk that back). Not everybody agrees with this analysis––one foreign diplomat I talked with said it was still more likely that the government will pursue delays for as long as it can. And heading toward elections is certainly not without huge risks for the incumbent and his ruling coalition. Kabila is extremely unpopular––in our February 2017 opinion poll, only 24 percent approved of him. (Don’t take it from us: In June 2016, Gallup said Kabila only enjoyed 28 percent approval, one of the lowest for an African president.) And if Kabila does not mess with the constitution, he is barred from another term and thus will have to designate a successor. Some have argued that the recent reorganization of the PPRD, and the new representative threshold (political parties now have to win 1% of votes at the national level to allowed to sit in parliament), would allow him to become president of a much stronger, more dominant party and to control his successor from behind the scenes. That, too, is a risky gambit––the world is full of leaders who have tried the Putin/Medvedev switch and have failed: just look to the neighboring Angola, where the much stronger Dos Santos was unable to rein in his successor. If confirmed, this shifting of gears will present donors, activists, and the political opposition with sharp dilemmas. Most civil society organizations and opposition parties want Kabila to leave first and then focus on elections (as evidenced by the tweet by CASC, a coalition of NGOs and youth movements). At the moment, there is still quite a bit of nuance to this divide. Most donors are actually pushing for elections within the context of the December 31, 2016 agreement, which calls for a power-sharing government, a reformed electoral system, and an opening of political space before elections can take place. This is also the position of the Catholic Church, and the official demand of the Comité laïc de coordination, which organized the last two protests. And many in the opposition, at least in private, say that they would be willing to go to elections if the process is more credible. But if elections are indeed held this year (or soon thereafter), very quickly this divide will become more pronounced. Both camps will have to decide what acceptable elections look like. By August, parties will have to decide on their presidential and legislative candidates, and in November the electoral campaign is supposed to begin. If demonstrations are not successful at bringing about reforms in the next few month, all these actors will have to decide whether they are going to join the process or boycott it. Difficult questions will then have to be answered. 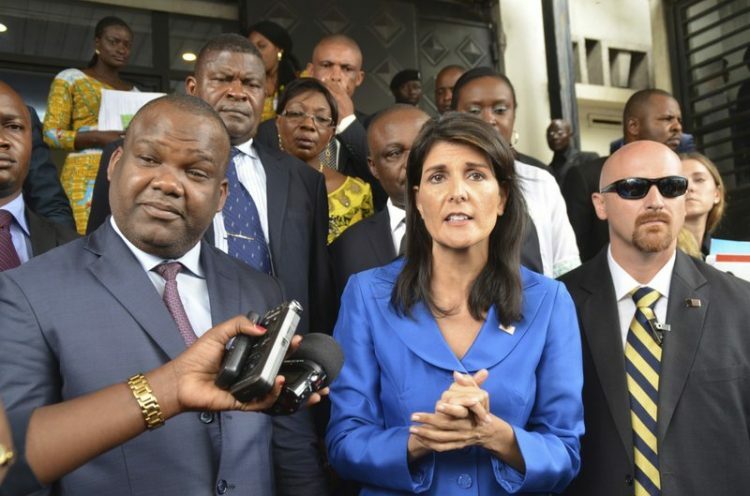 Will MONUSCO, which has the largest fleet of aircraft in the Congo, throw its logistical prowess behind the CENI, even all protests are banned, dozens of political activists are locked up, and major opposition leaders are in exile? Will the European partners and the United States go along with an election in which courts allow rival, pro-government factions to take over the legal registration of the UDPS and other opposition parties? If they do not, there will almost certainly be a divide between them and their African counterparts. And will opposition parties boycott an election in which the CENI is dominated by the ruling party, in which courts that manage electoral disputes have been politicized, and where almost nobody besides the ruling coalition has the funds necessary to pay for campaigning across the whole country, which will cost millions of dollars? If they do so, they may be locked out of politics for the next five years. If they do not, they may be lending their imprimatur to a flawed process.